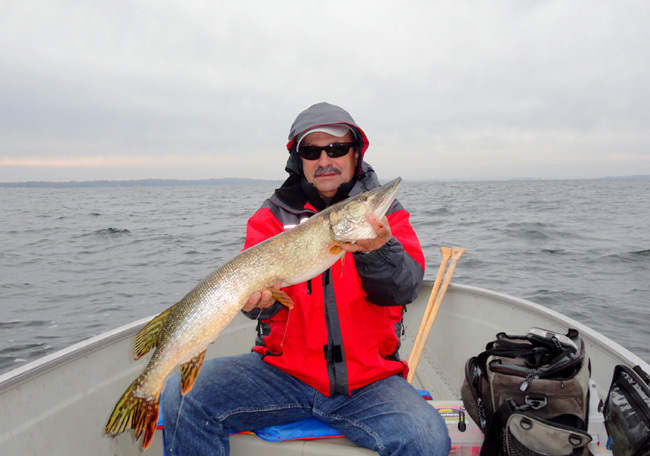 One of the few pike caught during Polish-Canadian Anglers Association tournament on Cook's Bay, on Saturday. Most fish range between 4-8 lbs. Overall pike fishing was slow. The biggest pike were caught out of Roches Point. Not too many boats out on Cook's Bay.